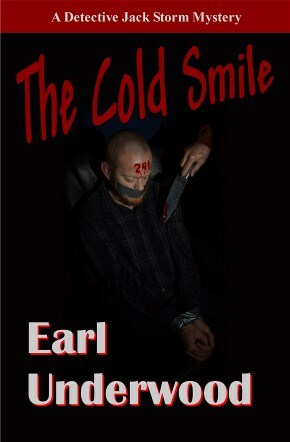 The Cold Smile is available for purchase in softcover on Amazon.com. It's also available for Kindle e-book on Amazon.com. JACK STORM, CALLED STORMY BY HIS FRIENDS, is a veteran homicide detective for the Hialeah Police Department in South Florida. When an unusual murder occurs in Miami during an approaching hurricane, Stormy and his new partner, Rolando Fuentes, are attached to Miami C.I.D. to assist in the investigation. Working with Miami homicide detective Leo Sharp, they soon realize they have a real murder mystery on their hands. Why was a prosecutor for the Dade County State Attorney’s office murdered? And why was the crime so brutal? Before long the body count begins to add up, all murdered in the same manner. The victims are found with their hands bound and tape covering their mouth and nose. Adding to the mystery is a set of numbers − 241 − carved into their foreheads. What do the numbers mean? What do the victims have in common? Is it a serial killer, or is it personal? Follow Stormy, Rolando and Leo as they unravel the mystery of the numbers and a motive for the murders. The ending will leave you with a sense of satisfaction and perhaps a cold smile on your face as justice prevails in an unusual way.